Jason Ochoa became a monthly contributor in early 2014. It's very easy for me to state that Jason's the main reason for Chop Cult's growth in Texas. Jason has helped open our eyes to talented builders and small independent businesses in Fort Worth and the surrounding cities. Most of his features were attained by riding his 68 to the photoshoots. I hope you enjoy his bike as much as he does! I picked up this bike off of Craiglist from a guy in Wimberley, Texas for 4,500 bucks. Although it was set up stock with some apes, pillow cushion seats, solid cast rear wheel, 5 gallon fat bob tanks, and all the other unwanted extras some dude thought was cool back in the 80’s, it was as solid as could be expected. 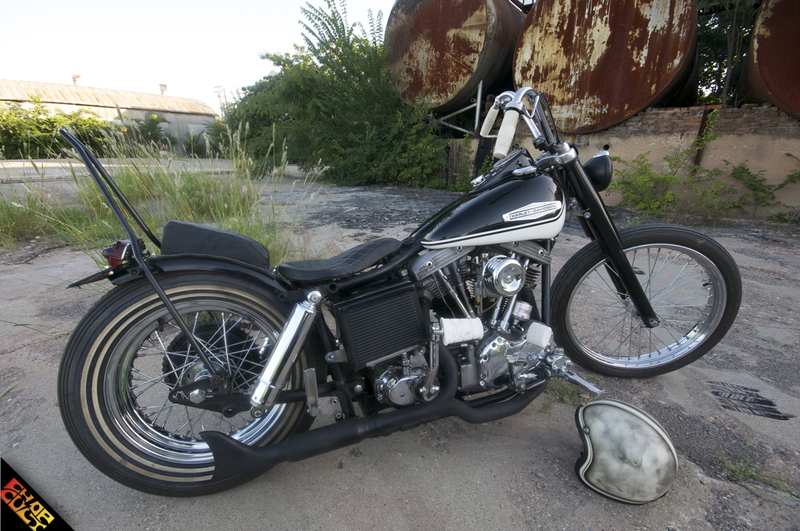 In the beginning, I was set on hardtailing this bike and adding a narrow frisco mounted gas tank with the standard solo seat and custom paint. I was going for a traditional 60’s style chopper look. Of course, money was a factor, so I decided to build this bike with as many parts as I could from my stash in the corner of the garage. 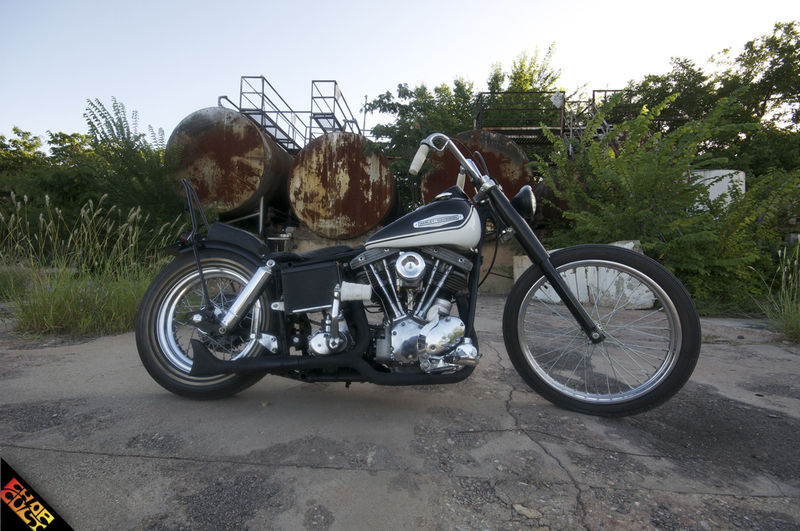 Once I completed the original plan, I sat back and was amazed how great the bike was taking shape. 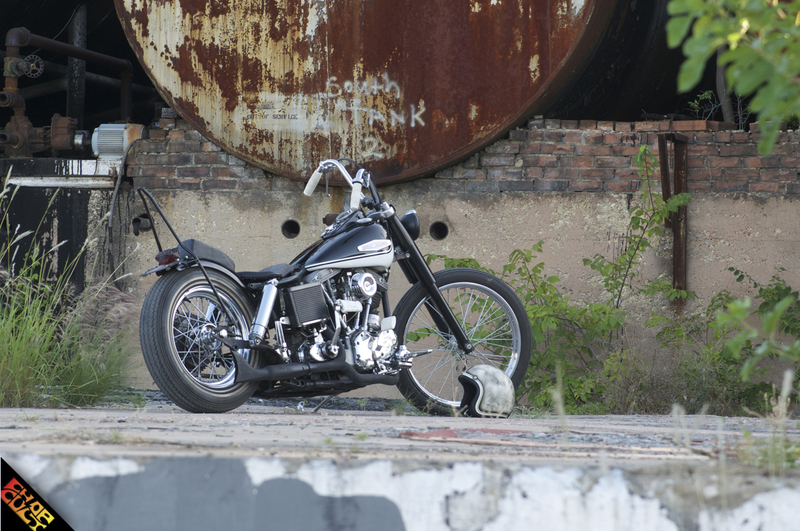 I decided I was not going to follow the norm, but instead build a badass swingarm shovelhead with a 60’s chopper vibe. I changed out the tanks with some old 3.5 gallon split tanks I already had and then moved on to the handlebars. At first, I decided to run some tall apes on this bike, but after mounting them I decided I wanted to use something a little different and shorter. I looked at every type of bar out there and finally settled on a pair of old buckhorns that I cut and modified. I ran an old set of split bar risers, so I cut and narrowed the bars another 2 inches to fit the look I was going for. 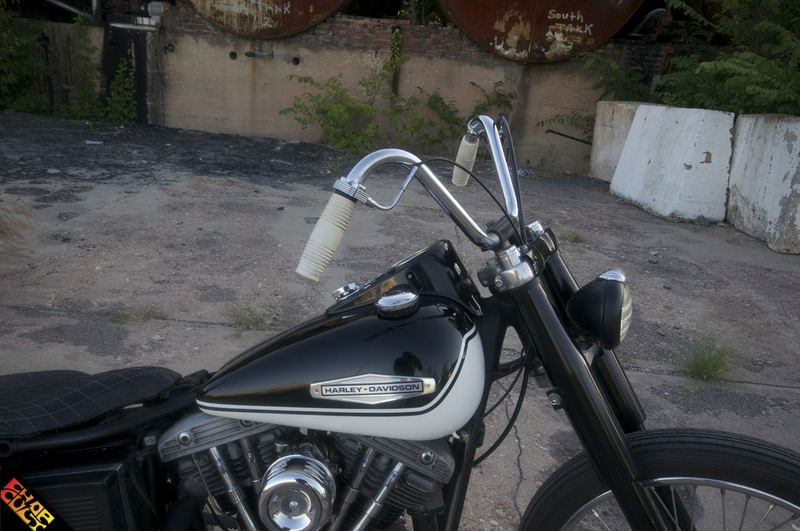 I added a Biltwell seat pan that I had re-covered in leather and turned to Haifley Brothers for a one-off P pad. I then moved on to replacing the ugly solid cast wheel with a traditional mid star spoke wheel, added a double whitewall tire, and called it good. I decided to go with no front brake and narrow front end, so I swapped out the bulky wide glide front end with a 39mm narrow glide, added some fork shrouds from Lowbrow and cut and shaped the lower legs in my garage and after about 6 hours I achieved that clean shaved look. I also changed out the original primary with a BDL 1.5 open belt setup to narrow up the bike some. The last thing on the agenda was to have my good friend Gary Queen, owner of Other Side Customs spray a traditional style paint scheme on my tanks and fender to finish off the build. Favorite thing about this bike: I like the fact that I was able to keep the classic styling without hard tailing the frame. Next modification will be: I plan on adding some tank shift tanks and use a rocker clutch assembly. I would like to thank my friend Gary Queen for the bitchin paint on the tanks and last, but not least, my dear friend Lisa Ballard for everything she does for the chopper community. Great looking bike, really like the tank paint and rockers. gorgeous build man! ride safe! Thank you guys! She is definitely a runner. Love it! Cheers from Austin! Great lookin bike. Nice lines. functional choppers, this thing is so awesome! looks great man! I run a swing evo and still comfortable classic set is clean! nice ride good job man love it!!! One of my favorite bikes. Glad I saw this article. 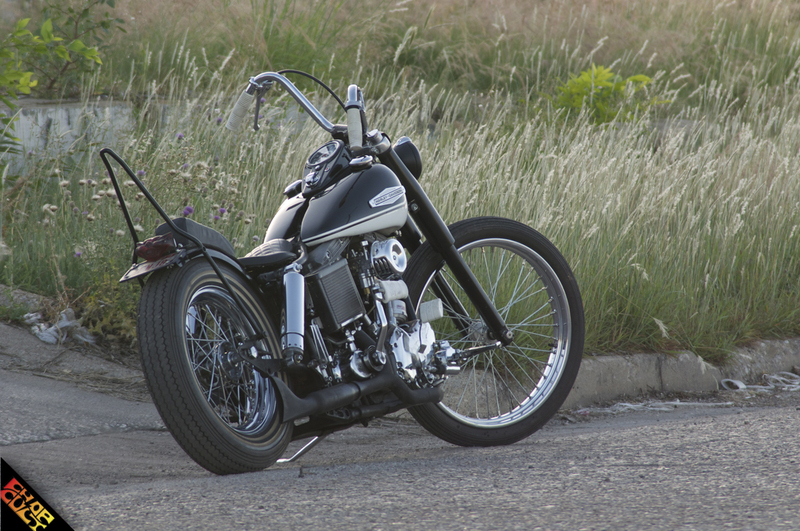 I love it when a guy can take a swing-arm bike, and make it look like a chopper. The paint is subtle, but sharp. And I like the little details like all-white rubber parts.